Being the mom of two boys, one at the grand age of 6 and the other 3 months, Clothes are always getting out grown and plain worn out. How do boys do it?! I grew up with two sister and myself, so, I also know that an all girl house is just as demanding on clothes! I love that my little ones are still at the age where they will wear just about anything. My 6 year old is starting to form a "style" that evolves every month :) I would go broke if I bought brand new, full price, brand name clothes all the time! Here are my tips and trick to shopping for clothes on a very limited budget. Shop Consignment sales. Last year I found the amazing thing called a consignment sales! (check here for full list of consignment sales in the tri-state area)! Sales are held twice a year, prior to the change of seasons, Summer and Fall. 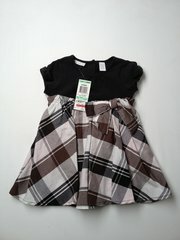 They have Boy and Girls clothes from ages newborn to teen. The best part is they are CHEAP and many of the clothes were in brand new condition. I was able to get over 15 outfits for the baby, three pair of jean, sweat shirt, and two shirts for the oldest and bottle, baby blankets, and diaper pail for under $60.00 at Kids Closet last year! Some of the clothing even had the tags still on them. A little tip: Look at the tags on the clothing, at both sales the last day items are marked down 50% so the $2.00 outfit is $1.00! However, not all pieces are like this so looking is important! Finally, MAKE a little MONEY to spend at the sale! These are Consignment sales so you can sign up to Consign or Volunteer and get a little cash to spend at the sale! I am in love with these sales and as fast as the boys are growing will be making these sales a semi annual trip! Thred-up. I still want to hug the wonderful lady that told me about Thred-up. This is an online Consignment sale, which sounds a bit scary but the quality is out of this world and you have a multitude of brands and styles, because the site takes cosigners from all over the US. If you sign up today you get Free shipping and 20% off your first order and use this link for a $10.00 credit on your first purchase;) Tip: If you are looking for brand new clothes Check out ThredUp's new section NEW WITH TAGS! Prices are still 60-70% off! Shop Clearance a Season ahead. My kids do get new clothes. I do limit this to Birthdays, Christmas and special events. Even buying new I shop clearance and a few Select Sales. One happens to be going on now! 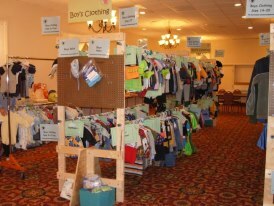 Our Newest Contributor and Online Deal Seeker reminded me of this blowout sale: The Children's Place Monster sale. You can shop the latest style starting at 1.59 and up! I like to buy a season ahead so try predict what size you might need (bigger is better) and stock up! 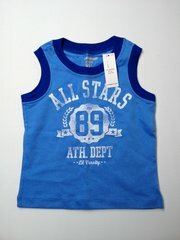 Do you have a special trick or tip to save on Children's clothes? Leave a comment or contact us on facebook or email! Very Good Idea! Clothing swaps...does anyone belong to one and would like to share how to's? !